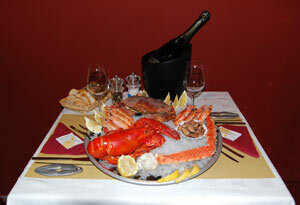 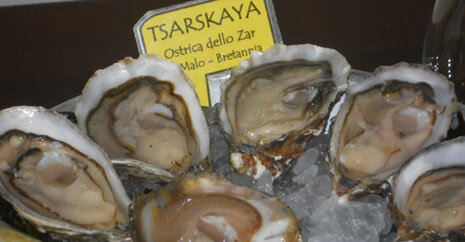 IN GENOA, THE BEST FRENCH OYSTERS! 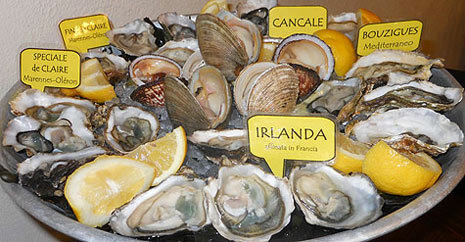 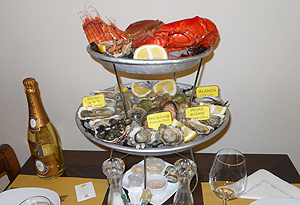 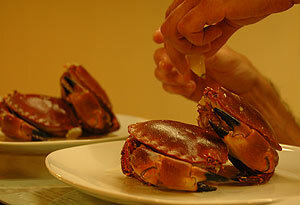 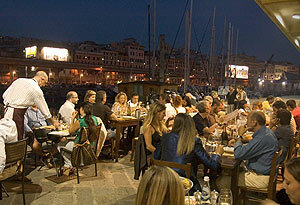 Indarsena in Genoa is one of the very few real Oyster Bars in Italy. 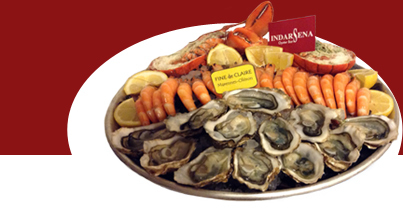 Exactly like in the parisian restaurants, at least 7 or 8 different kinds of oysters are to be enjoyed every week (Fine de Claire, Spéciale de Claire and also the Pousse en Claire Marennes Oléron, Bouzigues Spéciale de Mèze, the famous Tsarskaya – Pearl of the Tsars, the genuine Cancale, Georget-Ireland, Muirgen – the Irish oyster allowed to mature in Brittany, the Belon du Belon, Marie Morgaine, the nowhere to be found Gillardeau, Saint Vaast, Spéciale Utah Beach and the White Pearl of Normandy, the Gauloise allowed to mature in the Belon river, Tarbouriech – the pink oyster from Etang de Thau...). 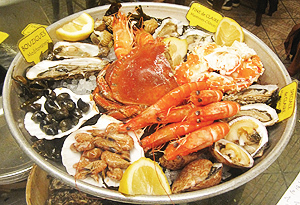 Besides oysters, you find the best Seafood at Indarsena's (Warty Venus, Saltwater Clams, Dog Cockles, Whelks, Common Periwinkles, Urchins, the odd Sea Figs, the nowhere to be found Goose Barnacle and the Abalones...) but also wonderful cooked Shellfishes (Brown Crab, Lobster, Madagascar Prawns, Shrimps, and the fabulous King Crab – legs and nippers of the Giant Crab from Alaska seas, to be enjoyed in the american way with melted butter...).